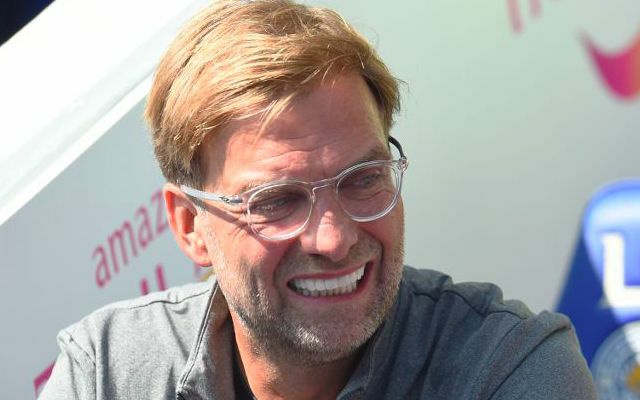 While Liverpool are currently sitting comfortably at the top of the Premier League with the first half of the season over, the club can’t afford to get complacent. Manchester City have a huge amount of cash to spend to catch Liverpool up, and you can bet your bottom dollar they are going to be spending it too. Here are five players who we really think would do well as an addition to the team. Some of them may be a little bit unrealistic, or out of the club’s price range, but we reckon all of them could play a role if the money was splashed. This Portuguese midfielder has been linked with Liverpool a lot over the years. Currently playing for Sporting, he is probably going to set back the club a pretty penny if they want him on the books. Not to mention the fact that Sporting know that he would be a fine addition to the Liverpool squad. This surely adds a bit onto the price. That being said, reputable operators at topbettingwebsites.co.uk think that he stands a decent chance of heading to Liverpool. The wonderful thing about Bruno Fernandes is that he has proven that he is able to score goals. He has banged in a fair number this season. Since one of the weaknesses for Liverpool at the moment is in the midfield area, he would make a fine purchase for a strengthening there. The fact that he is able to knock in a few goals is going to be a bonus. It may help to extend the lead over Manchester City. You know what is good for a team which has a limited budget available? It is a player who is not only good but who is not getting a whole lot of playing time at his home club. Danny Ceballos is currently in a Real Madrid team which simply too good at the moment. The team are performing well, and the manager really doesn’t want to shake up the team too much. So, while Danny Ceballos has had a few appearances this season, it is never enough. This means that there is a good chance that Liverpool will be able to pick up Danny Ceballos ‘on the cheap’. In fact, they could get him in at a stunning price. While I do not think that Danny Ceballos is going to completely shake up the team and improve it to the point where they will be able to enjoy rousing success, I do think that he is going to add a little bit of depth to the midfield, an area where Liverpool are lacking a lot. This may be all that it takes to pick up the Premier League title at the end of the season. It is likely that Jan Oblak is going to be leaving Atletico Madrid for the Premier League at some point during January. It is currently unknown where he is heading, but after Liverpool were closely linked with Jan Oblak during the Summer transfer window, I am going to have to say that there is a pretty decent chance that he is going to end up here. He is a goalkeeper, and since Liverpool picked up a pretty decent goalkeeper during the Summer transfer window, I can’t imagine that Jan Oblak is going to get much playing time at Liverpool. However, what you need to remember is that it is squad depth that is going to get Liverpool over the finishing line. The last thing the club wants is to have to lose the chance to win the Premier League because the goalie is out injured. So, Oblak can come in. He has a wealth of top-flight experience under his belt, so you just know he has the talent to perform well. Whether he would be willing to sit on the bench for most of it is anybody’s guess. We will be going a little bit closer to home with this player. However, I seriously doubt that Wolves are going to be parting with Neves that easily. He is the glue that is holding their season together. That being said, Neves could probably force a move to Liverpool. When a team like Liverpool comes knocking, you answer the call. While Neves doesn’t have that many goals under his belt, he is the star of the Championship right now. He can control the midfield with ease. He would make a fine addition to the Liverpool squad. Timo Werner is a player wanted by just about every side right now. This means that his price tag may be a little bit out of the reach of Liverpool, but if this player can be netted, who seems to be banging in one goal every couple of games right now, it would really help the whole of the club out, and at the end of the season they will be hanging onto the Premier League title.